Cebu City, dubbed as the Queen City of the South, is one of the country’s most historical landmarks. Despite being one of the country’s highly urbanized cities (HUCs), you may still find colonial architecture lying low at street level. 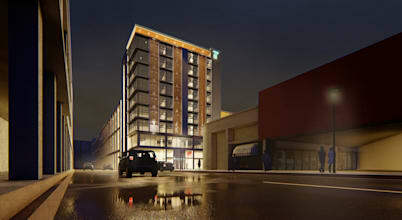 Take a step back, however, and you will see a growing skyline complementary to the city’s economic growth over the years, attracting even more investments and construction in the area. 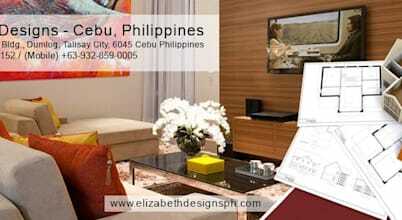 Cebu is also home to one of the best schools in architecture, making it a breeding ground for professional designers. Located at the heart of Visayas, Cebu is a gateway for beaches and top tourist destinations. This island life inspires many modern tropical architecture in residential and recreational properties. Because of this, Cebu has also developed into one of the country’s top hubs for Filipino design, with trade shows and expos held annually. Planning your dream home is no doubt a stressful journey. With the right architect, you will not only have a carefully designed space, but also a project manager that will help you realize it. 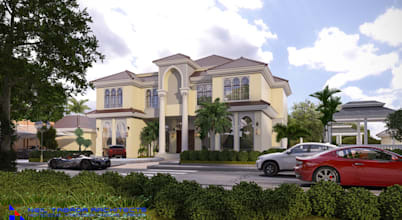 Professional architects offer many services that are tailored to your needs, from schematic design down to construction. 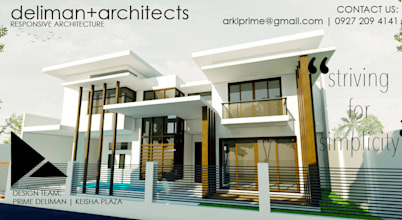 Hiring architects in Cebu will surely give you an upper hand. As local experts, they are familiar with the weather patterns that may affect the integrity of the building. They also have well-established connections with contractors, suppliers, and other skilled workers. This may be crucial in saving you lots of time and money, not to mention alleviate the stress. Architects are also knowledgeable of things you might overlook, like legal and government fees. If you are especially looking to save, they will be the key for you to make the most out of the city’s resources. Before you start building, you might want to consider some requirements for gaining a permit. Make sure your complete set of plans (electrical, mechanical, plumbing, structural, and architectural) are ready and are in line with the National Building Code. Other attachments like the lot title and barangay clearance are also required. You may also need other permits for operations like demolition, excavation and ground preparation, scaffolding, etc. This might sound overwhelming at first, but you shouldn’t worry since your architect should be familiar with all of these. You may also look up other information through Cebu’s official government sites. Like the rest of the Philippines, Cebu experiences a wet and dry cycle throughout the year. It is also an occasional stop for typhoons and earthquakes. Thus, it is important to choose materials that can withstand the environment. Typically, concrete is one of the cheapest options out there. However, its durability and fire-resistant properties make it the best bet against typhoon and earthquakes. It is excellent in retaining heat, cutting costs for HVAC equipment. Light-painted concrete also helps reflect solar radiation, making your home cooler during the summer. When dealing with wood, it is best to treat it with proper coating to prevent it from warping. Oil-based paints are usually applied to combat the humidity in the country. Luckily, there are a variety of paints and finishes that will suffice. 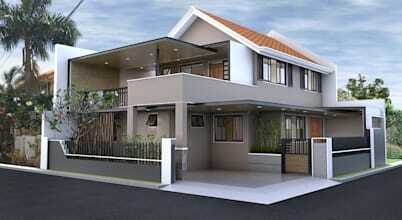 For this, you may consult your architect for the best brands and the proper application of each. The cost of construction outside of Metro Manila is relatively cheaper. As such, in Cebu, a decent single-storey house with basic concrete construction will cost you around P12,000 to P15,000 per square meter. However, this can still vary with the type of materials and finishes that you use. For low cost finishes, you may opt for ceramic tiles or vinyl for flooring and corrugated G.I. sheets for roofing. Average or standard finishes can vary from porcelain to granite tiles, wood flooring, good quality paint, and insulated G.I. sheets. There are also a variety of laminates that can simulate several materials seamlessly. Premium finishes include imported materials, parquet flooring, wall mouldings, natural stone, and durable materials like aluminum and PVC. 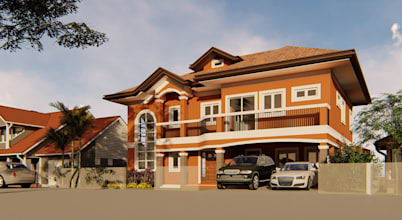 For premium finishes, an estimated budget of P25,000 per square meter is doable. 5. How much does it cost to hire an architect? There are many ways to determine an architect’s professional fee. The most common methods are done by area (per square meter) or by a detailed estimate. 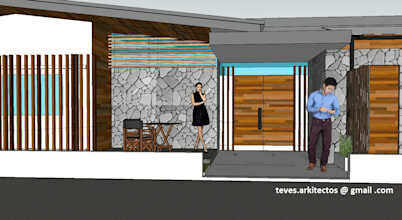 The first one is ideal as consultation fee wherein the architect provides schematic designs and presentation drawings. This is typically P1,000 per square meter. If you only require a renovation and not a full-scale construction, this might save you some time. 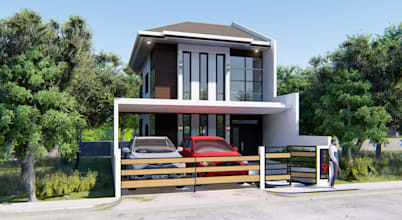 However, if you also wish to employ the architect’s project management skills, you may want to opt for a detailed estimate. This may take more time and planning but it is more accurate and budget-friendly. Detailed estimates specify all the materials and finishes as well as the labor costs, making less room for future disagreements. Normally, the architect’s professional fee is derived from 7%-8% of the total cost of materials. Other methods to settle fees are through charging per plate or drawing, which may vary from P1,000-P5,000, depending on the level of expertise. Daily or hourly rates are also considered especially for projects that require site visits and supervision.